Keith Huggins dedicated his life to serving the Lord in 1982, joining the Eylau Church of God In Christ, Texarkana, TX, where he served as an anointed drummer/musician until he was ordained as a Deacon in 1985. He became Chairman of the Deacon Board, faithfully serving for 8 years. In 1993, he accepted the call to ministry, and was licensed to preach by Pastor E.L Roberson Sr., Eylau/New Life Church of God In Christ, Texarkana, TX. 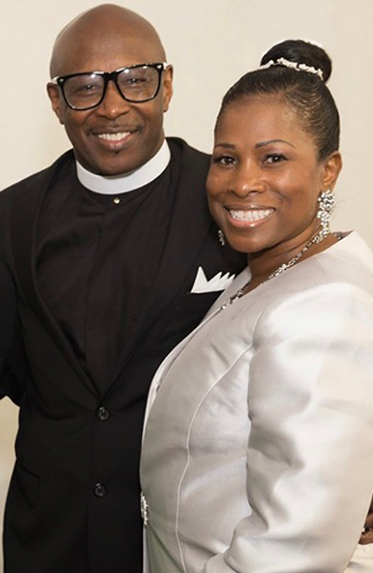 In 1995, he was ordained by Overseer David E. Wilson, Bibleway Christian Assembly, where He became the Assistant Pastor. In 1997, he co-founded Tower of Power Gospel Ministries, Texarkana, AR, with Pastor David Watson III; a debt free ministry that is still flourishing today. He later accepted a promotion with Sears, causing him to move to Dallas, TX. In 1999, he joined Brotherly Love Ministries Dallas, TX, and became Assistant Pastor, under the leadership of Pastor J.W. West. In 2008, he became Assistant Pastor of Higher Dimension Ministries in Dallas, TX, under the leadership of Pastor T.D. Jefferson. He served two years in this capacity until multi-state duties at Sears called him away. In 2010, he became a member of The Potter’s House Church of Dallas, under the leadership of Bishop T.D. Jakes, and gleaned from the phenomenal teachings of one of the greatest visionaries in the Word. In 2015, he joined New Jerusalem Baptist Church, McKinney, TX, led by Pastor Myron Bradford, where he served as the Church Administrator. He is an anointed leader, preacher & teacher, whose desire is to see growth in the people of God. Elder Huggins and his beautiful wife Sudeane have been married 34 years. They have three children: Keith II, Shayna and Derrick Huggins. They also have one grandchild Anya Brooks.